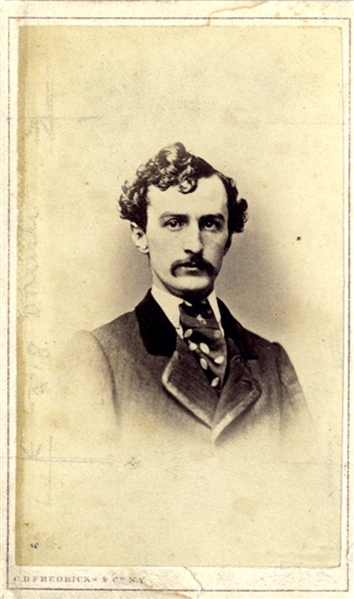 Carte de visite of John Wilkes Booth with C.D. Fredericks & Co. mark. Stamped on verso This Print Loaned by Culver Service. Very good condition.